Following the last event of the British Talent Cup season, which ran alongside the final MotoGP event of the year in Valencia Spain, Donegal's Rhys Irwin received the fantastic news that he would once again be on the grid in 2019. 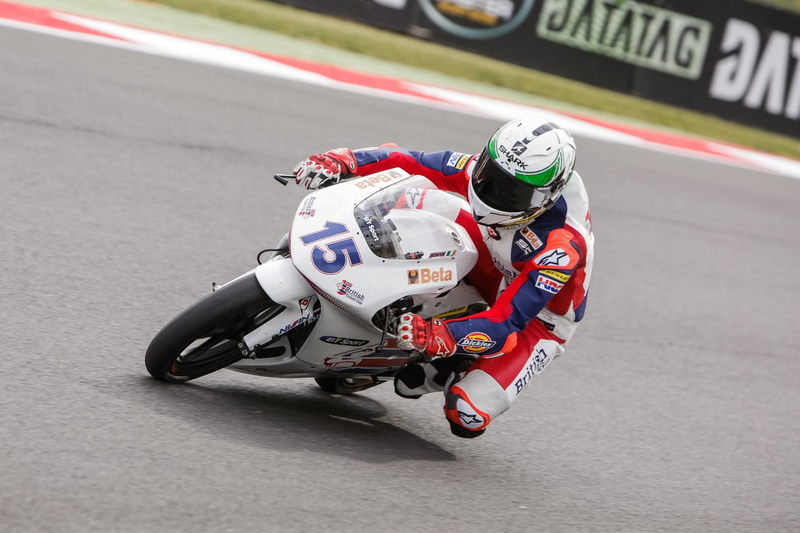 The British Talent Cup is organised by MotoGP promoters Dorna and designed to find fresh talent from the British Isles to promote through Moto3 and Moto2, and on into the MotoGP world championship. 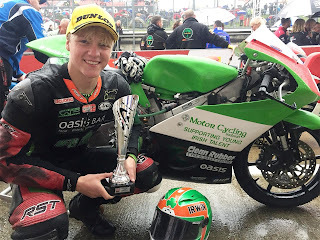 Fifteen-year-old Rhys Irwin was the only Republic of Ireland rider on the grid in the inaugural year of the series and the news that he would be back again in 2019 means he will continue to fly the flag for Irish Motorcycle Racing on the world stage. 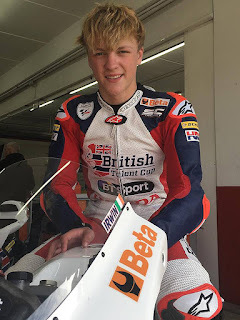 Irwin's first Talent Cup campaign was a major challenge as he went up against much more experienced rivals, many with previous Moto3 and European Talent Cup seasons under their belt. Having lost track time due to incidents, mechanical issues and the weather induced cancellation of round two, Rhys struggled to build momentum early in the season, but he bounced back to pick up his first two points finishes at event three in Snetterton. 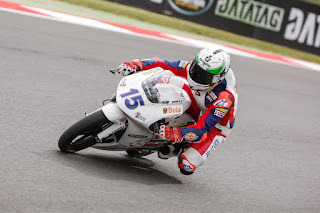 Following Snetterton the BTC made its first appearance on the MotoGP programme, with two support races at the British Grand Prix in Silverstone. Qualifying a season best fifth, Rhys scored points for the third race in a row in race one, but his progress was again interrupted when the second race was lost to an event ending downpour. The penultimate round in Assen, Holland, was another tough one as a race one crash left him struggling for track time on the unfamiliar circuit, meaning he could only manage a single thirteenth place finish. The final event in Spain was also affected by the weather, but Rhys one more impressed with his speed and ability. Following the Spanish finale Rhys was informed that Dorna were delighted with the progress he had made all year especially as he had entered the season with so little experience. In recognition of his performances and ability they then gave him the best possible finish to the season by offering him an invitation to return in 2019. 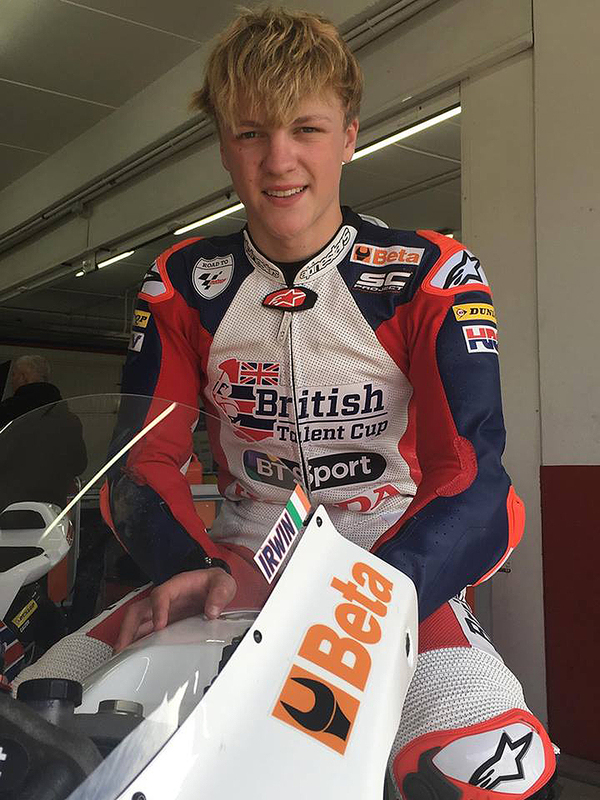 Details of the second British Talent Cup campaign have yet to be revealed, but the confirmation that Rhys Irwin will be on the grid means he will once again be the only rider flying the Irish flag at MotoGP World Championship events in 2019.